Colonists, you can discuss these update notes here. *Improved loading times and systems. The loading screen should now more accurately report loading progress. *Implemented a scaling solution on the client. Colonists! You can discuss these updates here. The Xp curve for characters above level 20 has been adjusted. The Executive dashboard has been replaced with a Politics panel that is available to all players. 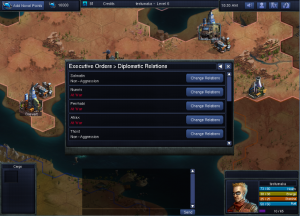 An “Empire Information” panel has been added to the Politics screen. This lists the empire’s current leader and diplomatic relationships. Added Leader exclusive options in the politics dashboard for Diplomatic Relations and Election Frequency. Fixed an issue which allowed players to change their votes multiple times. Enemy names will now always appear in the combat screen. Altea Common Time (aka UTC) was introduced. All clocks and dates in the game are now displaying UTC time. This allows for better coordination between players who may be in very different locations. Players will now only receive updates from the Empire they are currently part of. 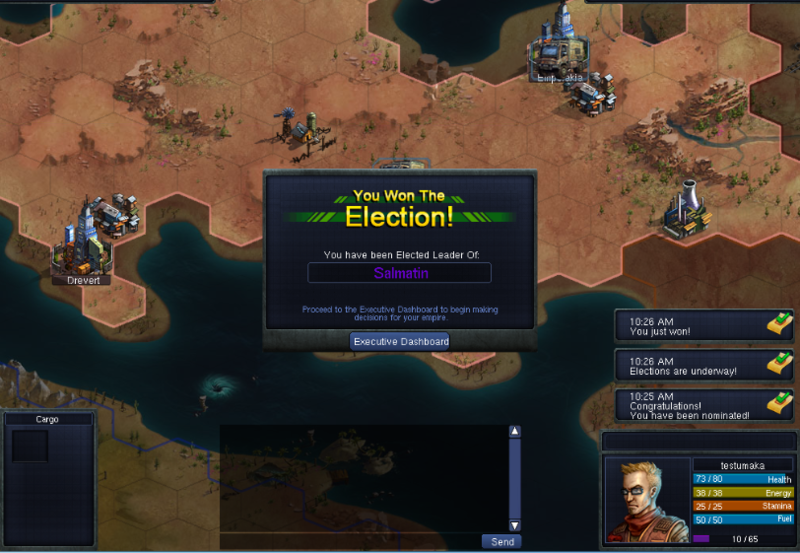 Player can now vote once per election. Previously a player could reassign a cast vote. Fixed several bugs associated with server and local clocks getting out of synch. Members of an Empire that has a Non-Aggression Pact with another Empire may not attack that Empire. More jobs are now available.